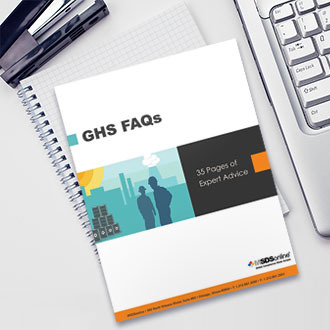 Get answers to GHS and HazCom 2012 related questions from the company that ASSE, VPPPA, and NSC trust to help educate their members on OSHA's revised HazCom Standard. Jennifer Silk, OSHA’s former leader on all things GHS, and Glenn Trout, president and CEO of MSDSonline and one of the most sought after, top-rated speakers on HazCom 2012, have weighed in on this highly educational white paper. Are NFPA and HMIS labeling systems still permitted after GHS adoption? Under HazCom 2012, do employers have to archive safety data sheets for 30 years? 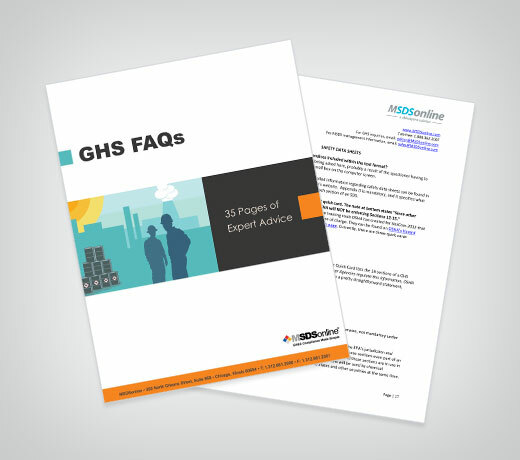 This white paper includes links to original-source documents to provide greater clarity and insight on HazCom 2012 compliance.